Richard J. Heisenbottle is the founding Principal and President of R.J. Heisenbottle Architects, PA located in Coral Gables, Florida with over four decades of expertise in all aspects of architecture and interior design with a specialty in historic preservation and theater arts projects. Mr. Heisenbottle’s work is well known in the State of Florida for the restoration of some of the area’s oldest and most prestigious landmarks including the Vizcaya Museum and Gardens, Gusman Center for the Performing Arts, Colony Theater, Freedom Tower, City of Miami City Hall, Trinity Episcopal Cathedral and Miami Edison Middle School. Since founding R.J. Heisenbottle Architects in 1987, Mr. Heisenbottle has through both his business and personal activities consistently been at the forefront of preservation efforts throughout the State of Florida. In 2003 Mr. Heisenbottle was accorded the highest honor American Institute of Architects (AIA) Miami awards, the Silver Medal for Design. Today, Mr. Heisenbottle’s firm is well known throughout the State of Florida for the restoration of some of the area’s oldest and most prestigious landmarks including City of Miami City Hall, Vizcaya Museum and Gardens, Gusman Center for the Performing Arts, Colony Theater, Freedom Tower, Trinity Episcopal Cathedral, Vanderbilt Mansion, Villa Serena, the University of Miami Administration Building and Miami Edison Middle School. 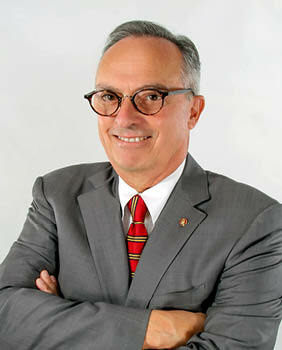 He has served as President of AIA Miami and Dade Heritage Trust, the area’s largest historic preservation organization. He also served as a member of the City of Miami’s Historic Preservation Board and Chairman of the City of Coral Gables Historic Preservation Board. As an alumnus of the University of Miami, he remains active in the School of Architecture and often serves as a guest lecturer on historic preservation topics. Richard Heisenbottle received a Bachelor of Science in Architectural Technology from the New York Institute of Technology and a Bachelor of Architecture from the University of Miami. He is a registered Architect in Florida, New York, Alabama and Pennsylvania. Richard Heisenbottle was elevated to Fellow of the American Institute of Architects in 2005 and currently sits on the University of Miami School of Architecture Masters in Real Estate Development + Urbanism Advisory Board. He served as past president of AIA Miami and Dade Heritage Trust, as well as, a member of the City of Miami’s Historic Preservation Board for 10 years and the Coral Gables Historic Preservation Board for 2 years.